Led by their scumbag lawyers, a group of New Mexico citizens is suing the city of Santa Fe. They claim they’re being “discriminated” against because they’re allergic to the city’s wireless Internet signal. 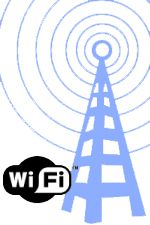 The group wants an end to the city’s Wi-Fi and (of course) monetary damages. They claim that putting up Wi-Fi in public places is a violation of the Americans with Disabilities Act. Members of the group say they are highly sensitive to certain types of electric fields, including wireless Internet and cell phones. If the skeezy lawyers in New Mexico win this lawsuit it is expected to open the door for suing cell phone companies and bring in untold millions of dollars for personal injury lawyers. You are currently browsing the archives for the stupid lawsuits category.